INDUSTRY.co.id - Jakarta - Satellite Merah Putih owned by PT Telkom Indonesia (Persero) Tbk (Telkom) is currently at the launch site of SpaceX, Cape Canaveral Air Force Station, Florida, United States. "The Merah Putih Satellite has been successfully delivered from the Space Systems Loral (SSL) plant in Palo Alto, California, to its launch site. The Red and White Satellite are scheduled to be launched to the orbit slot 108 degrees East Longitude (108 BT) on August 4, according to an official statement we received from SpaceX as a launch service provider, "said Vice President Corporate Communication Telkom Arif Prabowo, Thursday (26/7 / 2018). He said that SSL as a manufacturer has successfully completed the manufacture ahead of schedule. Making Merah Putih Satellite takes 2.5 years starting from early 2016. "The construction of the Red and White Satellite involves two US companies, namely SSL as a manufacturer of Satellite and SpaceX as a satellite launch service provider. SSL is a leading satellite manufacturing and has successfully completed the Merah Putih Satellite construction ahead of schedule. Furthermore, the Red and White Satellite will be launched towards its orbit slot using SpaceX's Falcon 9 Rocket, "added Arif. He added, Satellite Merah Putih will strengthen Telkom satellite business which previously has operated Telkom-2 and Telkom 3S satellites. 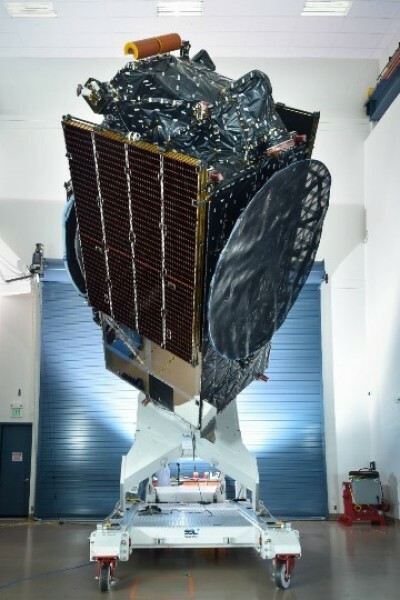 The Merah Putih Satellite has a capacity of 60 active transponders consisting of 24 C-Band transponders and 12 C-Band Extended transponders that will serve Indonesia and Southeast Asia, while 24 other C-Band transponders will reach the South Asian Region. These satellites rely on the SSL 1300 platform with a design life of 16 years. "Along with the launch of the Merah Putih Satellite which is approaching the time, we ask the blessing of all Indonesian people so that the launch can run smoothly until Satellite Merah Putih operates in its orbit slot above the Indonesian territory," Arif closed.